Make ahead freezer meals have always been the most convenient and affordable weeknight dinner option for busy families. With Freezer Meals in an Instant, dinner is even more hands-off and hassle-free. The practicality and simplicity of make ahead freezer meals is undeniable. They are cheaper than fast food, faster than sitting in the drive thru, and the health and nutrition of these meals surpasses the other fast-food options out there. Freezer-meal fanatic, Erin Chase of MyFreezEasy, brings you a collection of delicious recipes that go straight from the freezer to the electric pressure cooker (Instant Pot.) She's unlocked the secret to the fastest possible meal at home by combining the convenience of freezer meals with the speed of the electric pressure cooker - it's a magical combination that will change they way you operate in the kitchen. 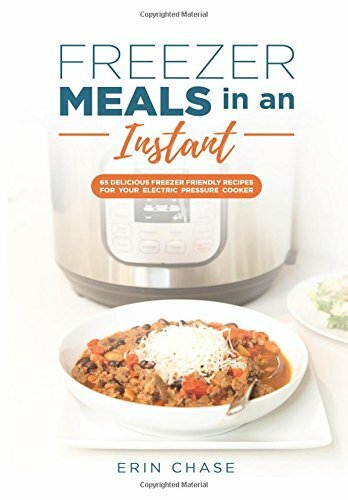 In her first freezer meals cookbook, Freezer Meals in an Instant, Erin brings together her love of budget-friendly recipes with freezer-friendly ingredients, that stand up to the cooking power of the electric pressure cooker. These recipes included in this cookbook will help you spend less time in the kitchen, and more time doing what you love. They will help you eat healthier and save money on groceries too. Freezer Meals in an Instant includes: 65 healthy, stress-free recipes made with wholesome ingredients that cook well in the electric pressure cooker 2 weeks worth of Freezer to Instant Pot meal plans with shopping lists and freezer meal prep instructions Budget-friendly ingredients that you probably already have in your pantry and fridge Load up your freezer with the fastest possible meal, including recipes like Instant Pot Beef & Black Bean Chili, Instant Pot Salsa Chicken, Instant Pot Pork Carnitas, and so many more family-friendly weeknight meals. 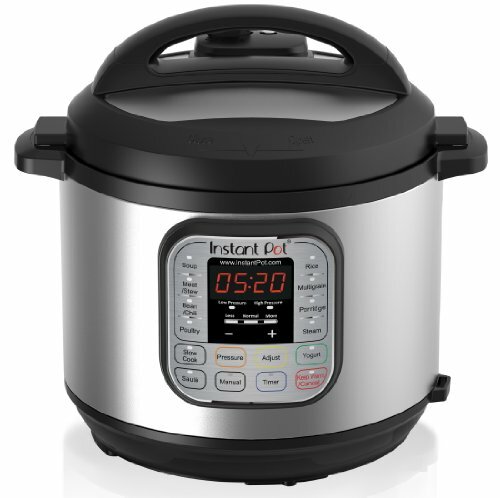 Don't have an instant pot yet? We own this one below!